I have "Auto-Loading by Scrolling Down" enabled for the blog page. Posts have WP galleries of photos. When someone scroll down the blog page all the thumbnails are OK. 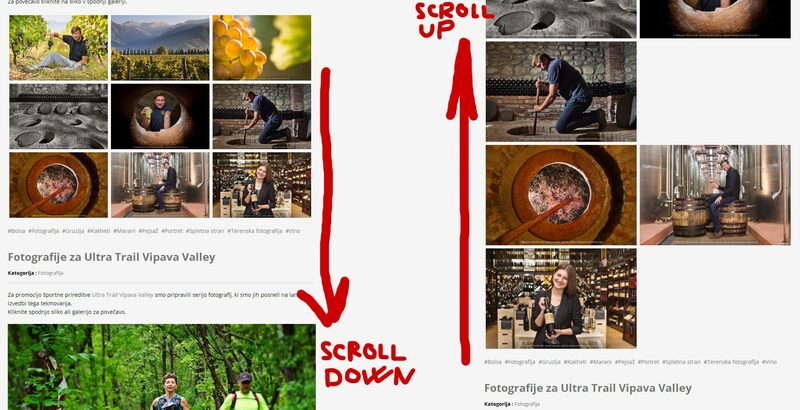 But after the loading of another group of post (Auto-loading) and if someone scroll up the page, the thumbnais are rearranged badly. It happens to me on win XP and win 10 in chorme and firefox.